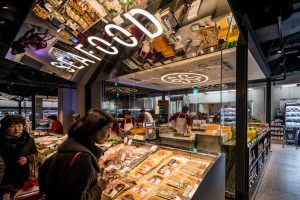 Nestled in the upmarket suburb of Dogok, Seoul, sits the newly opened reinvention of Emart’s “Star Super”: “the SSG Food Market”, designed by Landini Associates. Emart is the leading business of the Shinsegae group, the largest retailer in South Korea, operating multiple brands including department stores, discount to premium supermarkets, and the mighty Emart hypermarkets. 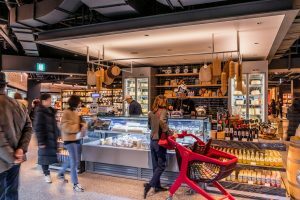 The brief was to create a world class premium supermarket and food hall fusion, and Landini Associates were entrusted to redesign every detail of the new store experience. 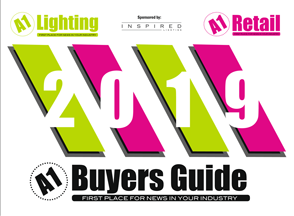 This included: the built environment, naming and identity, furniture and fixtures, signage and communications, ticketing, menus, POS, advertising style guides, packaging and uniforms. In fact every customer touchpoint. 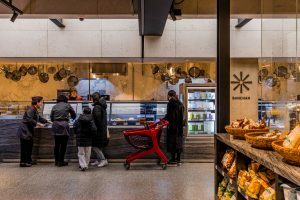 The result is a modern market, a convenient and accessible food lover’s heaven, where locals can do a daily or weekly shop, or dine in with friends at one of the many in-store restaurants and cafes. Attracting a newer younger audience, whilst rewarding its existing, the SSG Food Market is a community epicentre to meet, eat and shop in, throughout the day. The reinvention enriched and upscaled the existing food and beverage offer to include an extensive fresh department, vegie butcher serving house-made salads and juices, take home meals, Korean deli, bakery (run by hip San Francisco brand Tartine), fishmonger, butcher, Korean traditional street food, café, 200 seater restaurant, sushi restaurant, specialist cheesemaker, western charcuterie, wine and beer department, coffee roastery, dry goods, florist and homewares. The result is a curated selection of quality products, and a one-stop-shop supermarket and refined specialist items. In addition the market is a wonderful meeting place to dine with friends and family, further enriching the retail and community experience. The offer is made up of both SSG run departments, franchises (such as Starbucks, a premium brand in Korea), and third-party retailers. Ensuring that these were all presented as a tangible whole required the design team to be sensitive to multiple design briefs, whilst ensuring that the customer had a seamless experience. Additionally, the site has a low ceiling which created some challenges for the reticulation of services, and multiple entrances, including a pre-trading public access to a subway station through the heart of the store; a gift to residents from Shinsegae. The Landini team was also required to familiarise itself with a very different food culture to that which it had worked with in the past, a challenge they greatly enjoyed first hand! Landini’s solution creates a space of intrigue, transparency and exploration by celebrating the food, the people who make it, and its preparation. Specialist departments are visible across the restaurant’s open kitchen and include: Korean Traditional Street Food, Korean/Chinese Noodles and a grill. All the production is exposed, and chefs work in glazed pavilions serviced by counters showcasing this theatre whilst you order. There are also take home meals in the Korean deli prepared daily in its kitchen, or fresh fish and meat cooked to order at the Grill, to take home, or eat in. As always, and especially because the market is in a basement, the lighting plays a key role in Landini’s design. Chiaroscuro, the contrast between light and shade, creates areas of interest and calm, gently guiding customers on a journey of discovery throughout the store. Perimeter departments use pavement lights to create space, and give sense of the world above. In the main market hall the interior is paired back, functional yet classic. This “bare bones beauty” of exposed steel beams and concrete bulkheads contrasts with fine marbles, glass and blackened steel, and is balanced by timber fixtures and details. This subtle, considered and classic material palette allows the food to be the hero, and merchandising plays a major role. Long-life departments such as wine and dry-goods have a warmer, more earthy and textural palette, utilising brick and added timber. In the carpark, red floors and walls add vibrancy to the market experience before customers even get out of their car. The basement site is located below two high-end residential apartment buildings. Visitors can enter from the sunken courtyard on street level, or via the red carpark inside. SSG has created a residents pre opening pedestrian route through the store, a shortcut to the train station to save locals from the blistering cold in winter. Landini designed a set of messaging icons for this route, also. 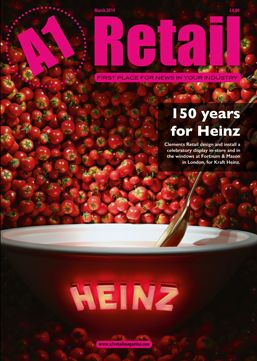 Landini Associates established a tone of voice for the brand to reflect their new food experience. This influenced all store communications including: naming and identity, signage and communications, ticketing, menus, advertising style guides, packaging and uniforms. The entire site required an ownable, easy to understand signage and graphic messaging system to reflect the brand’s new established tone of voice. The Landini design team evolved the existing SSG logo mark, developing an adaptation on communications applications to collateral and signage. The design is simple, contemporary yet classic; impacting not overwhelming. The palette is one of debossed concrete, timber, black and whites, and complimentary hits of the brand’s colour, red. The Dogok Food Market is an evolution for SSG whilst still remaining legitimate and true to the brand’s values of: great food experiences, convenience and accessibility. 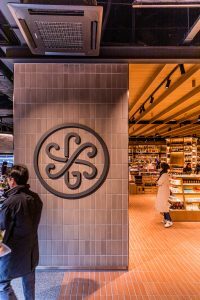 The design has created a vibrant and cohesive customer experience that appeals to all ages, and the store has quickly become the new must go place for locals in Seoul. Full within minutes of opening, it remains so all day until it closes at 10:00pm. Positive customer feedback is overwhelming, and the sales are constantly exceeding store targets. “The SSG project was a transformation of customer’s shopping habits. 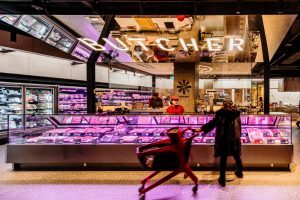 Through our new store design, refurbished brand identity, well-curated products, and F&B mix, we have made SSG place for every-day shopping as well as social gathering. We were able to achieve this with Landini, whose extensive experience in food and grocery helped Emart come up with creative solutions.” – Brian Kim, Head of MD Strategy, Emart Inc. Images courtesy of Trevor Mein. Design by Landini Associates.